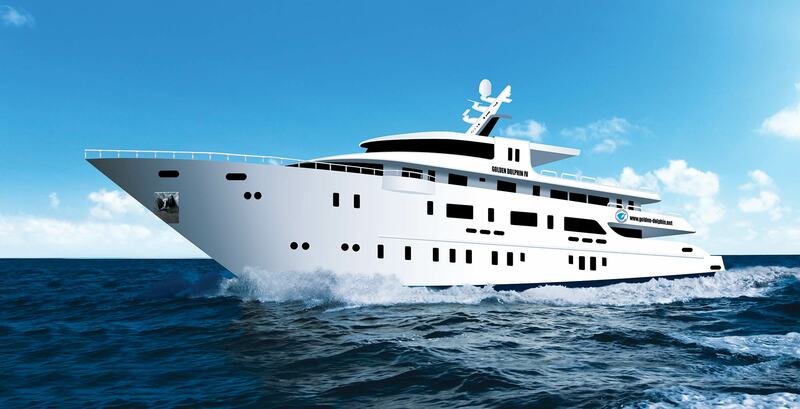 The new boat of the Golden Dolphin Fleet is expected to have her first trip in August 2019. Max. 28 guests can be accommodated in 14 air conditioned cabins with own bathroom (and separated shower) and minibar. They are located on lower-, main- and upper deck. The spacious dining area will be on the lower deck like on M/Y Golden Dolphin III and the air conditioned salons on the main- and upper deck. Two large and comfortable sun decks invite you to relax in a cozy family atmosphere! All routes are available. Special trips on request.